Well that discomfort, my friend, is an inner gift you’ve been nurturing, and it’s grown too big for your belly. 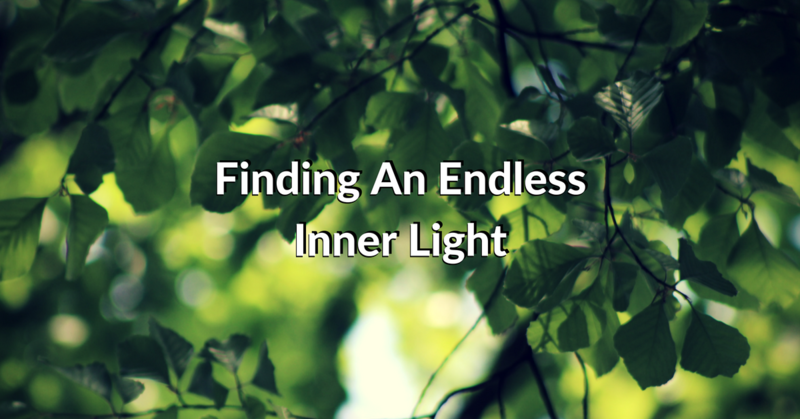 In this post I want to share how NPA helped me listen to that gnawing, let go of a lifetime of invalidation and find a genuine connection to an endless inner light. I also want to offer you TWO powerful exercises to help you connect more with your core. I was aware that the defamatory posts were still out there in the public domain and I’d remained silent. Every time someone in the know would ask me if I felt clear and glad it was over, I would hear myself tell them “yes”… but the word, in my ears, was hollow. In late September, my colleagues from The Inner Journey Clinic and I had our regular Skype chat. We meet for supervision and mutual support, so I took it to them to explore what the heck was still here with me. I really looked, but couldn’t find it. I could acknowledge that maybe indirectly there were rubbish things I’d done in the past with different people, or perhaps to her in previous lives..? But, to be honest, it really didn’t resonate, and I was getting a big inner red flag. Of course I checked myself to make sure it wasn’t just resistance… it wasn’t. Something much deeper and truer was simply saying no. When wise people you respect, with the kindest of intentions, say rationale things that you know generally have a truth to them… it can be a challenge to disagree. But I knew that all spiritual, self-help and therapeutic concepts have a context where they are relevant, and times when they are not. So I held a strong boundary. But something they said did hit a chord. That’s always gonna be a tough one to hear… The last thing that victim energy wants is to be, is called out… But, as I said in my post about the willingness to be an inconvenience, healing and awakening often start only when you acknowledge some ugly truths about yourself. This time the ‘red flag’ was really a resistant ‘ouch’ and when I got truly honest with myself there was some truth to it. The very next day I had a pre-arrange catch up with my great Finnish friend, and certified NPA Teacher, Marja Koivisto. She’s a great facilitator and has always had a knack for pinning me on my stuff. She noticed my energy and physiology immediately… I was kind of crumpled over the table and pretty low. Just in case you don’t know, a ‘spew’ in NPA terms is an invitation to just let your mouth run on a subject. The NPA facilitator meanwhile listens for the key words or phrases that have an ‘animation’ about them and can then be used in The NPA Process. I’m about 6 years old, in the car with my Mum, Aunt, sisters and cousins. It’s mid-summer and we’re setting off for a camping trip. I’m the youngest, and my cousin Micky is the oldest. He’s being horrible to me, as usual. Teasing with a nasty edge. I appeal to my Mum and my sisters, but no-one sticks up for me. They treat me like I’m being over-sensitive… and then I burst into tears. Micky delights in this opportunity to mock me further. He mimics my wails and goads me: “Sing Joel, sing!” and, to my shock, it seemed like everyone laughed along! My experience is completely invalidated… Negated… I simply shut down. As I continued to spew, I realised how this experience had completely killed my ability to acknowledge genuine mistreatment of me. It also became obvious that this experience was reflected in much of the abuse I’d experience through my life, including the latest online abuse from my Ex. With my Ex in mind, Marja lead me through The NPA Process using that phrase. Marja encouraged me to NPA that phrase as well, and I felt it link back not only to my recent Ex, but beyond… Back to the many other situations that I had made “Not that bad”… the domestic abuser, the sexual abuser and, of course, my teasing cousin. It was as if I could finally acknowledge my experience. I was WILLING to experience it. Something deep inside cracked open. With my direct experience being honoured, validated and expressed, it was healed. Any victim energy that had been hanging out in that space just kind of resolved itself. It left. I’d so often heard this talked about in terms of love. “Love yourself first, fill up your cup with love” etc etc. One of the things I love most about NPA, is that it’s great for going beyond generalised words and terms. You know the sort which sound good but don’t truly connect? 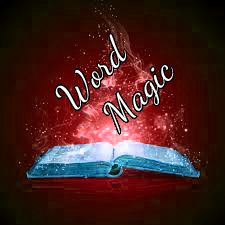 Words are magical, and each word we use activates neural pathways in our brain, firing off signals, sparking chemical reactions and influencing feelings, thought streams and physiology. A common and misleading simplification, is the idea that each word has a distinct meaning that we all share. While superficially this may be true… underneath the surface, we all have unique responses to each word we hear. Each word activates our huge database of experience of the word. Which sections of that data surface is influenced by the context and the emotional tone. The possible variations in any given moment are mind-bogglingly huge. • Language was born as an expression of the energy. • Generalised agreed labels, which point to an experience or thing and enables us to conveniently relate and communicate. • Then we started believing that the words were the thing. • So now, most of the time, we impose language on our experience. • And connection gets lost in translation. ‘My cup runneth over’ is an example of this for me. The words point to an experience. Those words worked for someone. Maybe they work for lots of people. Not for me. The words don’t elicit the experience… there’s no magic in them. But what if we allow our words, once more, to arise as expressions of the energy? The language… the fully connected label… the ’name’ which popped out of me for this experience was “Self Sustaining Aggression”. It may seem like an odd, or unspiritual word, but to me it was perfect. AND… to take care of myself, stand up in ways I hadn’t before, independent of any external source. The words pointed to an endless inner light. It’s a force of nature…. it’s alive in me now… and it’s made all the difference. I share these experiences with you, not to be cheered on or applauded or even to simply entertain… I share them with you to let you know that if you’re on this path you’re not alone, and by my experience I can help guide you on YOUR journey. (resolving any related victim energies). This exercise will help you un-block shut down that has occurred from invalidation. • Are you muting how you really feel? • Are you denying the severity of a painful experience… current or in the past? While these sentiments have their place, if at the time, it just didn’t ring true for you, it’s time to get real and acknowledge your own experience. Let yourself Spew about a specific time where you experienced this. Listen for the animated key-word cookie cutters. NPA the cookie cutter(s) and see where it takes you. It may be that this exercise simply provides a powerful clearing for you – which would be fantastic – right!? It’s very possible that what comes out of exercise 1 is a connection to some powerful core energy. A fully connected label or name for the experience might be right there – in which case, please let it be that simple. The key here is to let go of the standard words (if you have them) and fall into the direct experience. Then allow words to arise which naturally connect you to the direct experience. When you have them, the bridge between your inner and outer expression will be established. Get viscerally in touch with the experience of the core energy… the feeling, the energy, the physical sensation etc. If some words had come which didn’t quite do it for you, let go of them completely and allow yourself to fall into your direct experience. In any case, slip into a space of wonder…Say out loud “If there were words to describe this experience, I wonder what my they might be?“It is not something you can go searching for with you mind or any expectation… Just let the answer bubble up naturally… let the word(s) find you…For example, yesterday, what arose for a client to describe her direct experience was “Inner Waterfall of Sparkling Energy” It was right in her core, and truly connecting with it released her from a life long painful survival mechanism. When YOUR words arrive, again get viscerally in touch with the experience…Feel the words and how they connect you strongly to the feeling. Give yourself some time with the experience and notice what happens. You may experience some release, realisations, feelings or an opening.Big and bold, or subtle and simple… no matter, trust your own experience and the process. You can come back to these words repeatedly to access the experience. You can also try running it through The NPA Process. I’d love to hear what you experience from these exercises in the comments. I hope this article inspires you to heal the invalidation in your life and start honouring your direct experience. I also hope you can see how NPA can help you with that, as at its very core NPA is about finding words and expressions that are TRULY connected to your experience. It’s because of that connectedness that such a seemingly simple set of words has such a profound impact for those that choose to use it to the fullest. Exercises are great, but if you really want to bring anything into your life and embody it, it takes practice over time. This is very true of non-personal awareness. Practice over time leads to mastery, and mastery leads to effortless magical expression. The NPA Process, NPA Advanced Techniques and Non-Personal Philosophies bring a tremendous fluidity into your life and train you to live a life authentically connected to what truly matters to you. 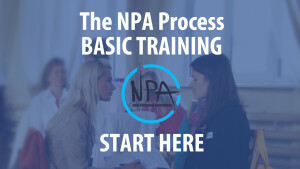 If you haven’t already, I highly recommend you get the NPA: Basic Training online video course. It will definitely help you make the most of the exercises I’ve given you here, but more importantly bring a powerful transformational energy into your life (even if you’ve done a lot of work on yourself already) and get you on the path to mastering a life that reflects what truly matters to you. Can I get future blogs?